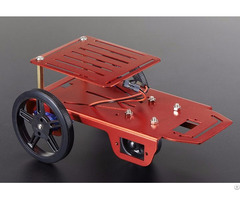 • Mini Robot Mobile Platform used 4 DC motor gear box to drive. The spec the same as FS90R - - High speed up to 100RPM, 1.3kg.cm at 800mA. • Four plastic wheels are press-fit onto DC motor gear box output gear shaft, and easy to make a nice drive solution for small robots. The wheels have silicone tires and the diameter is 60mm (2.36″) . 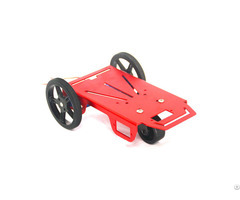 • This Mini Robot Mobile Platform frame make with 5051 aluminum alloy and anodize color (The factory default is orange. Can do other color if need. ). 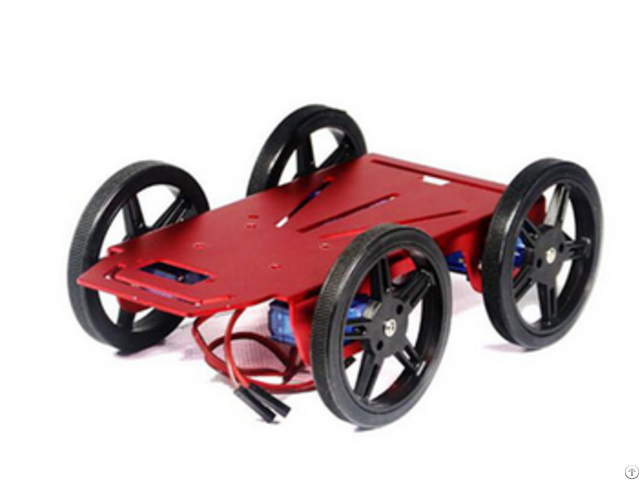 • Mini Robot Mobile Platform can compatible with Arduino controller. • Easy to add all kinds of sensor and let it to work at your idea. • This is a good start kit for student. Posted By: Shenzhen Feetech RC Model Co.,Ltd. Business Description: Shenzhen FEETECH RC Model Co., Ltd. is specialized in researching, developing, manufacturing and selling the top quality RC servos to all over the world.We have a professional R&D team devoted to pursue the utmost usage of RC Servos according for the RC robot and RC car/ helicopter / airplane / boat, and industrial application products. The products of FEETECH had passed CE、ROHS standard, Each single product is checked and tested through a series of strict and accurate QC (Quality Control) process by leading edge technology facilities. We also provide ODM and OEM service, and offer the lowest price with the highest quality, the best manufacture process and the ideal products to you. The brand of “FEETECH” is based on the concepts of Flying, Excellent, Efficient and Technology. Our mission is to be a provider of the products with best quality and best service. Looking forwards to our cooperation and mutual development.